With more than 100,332 students, 14.6 million square feet of building space, 962 buses, and 147 kitchens serving 104,500 meals every school day, we need a highly trained, tight-knit team to keep JCPS on the forefront of academic accomplishment. Would you like to join us? 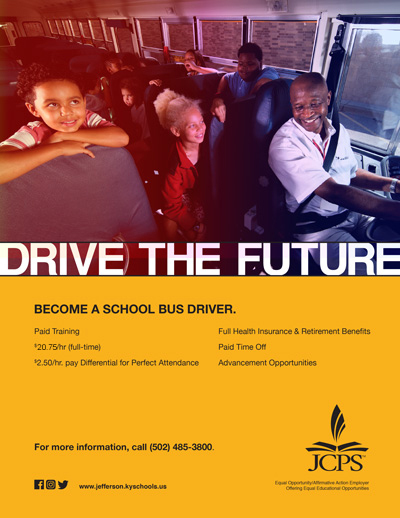 Follow the links below to learn how to apply for current openings. 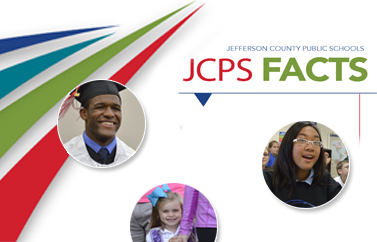 Job List (JCPS Employment Opportunities)—Listing of available jobs. Administrative Staffing—Positions include principal, assistant principal, counselor, dean, and central office certified and classified administrators. Moving to Louisville? Discover your new hometown!